Cloud Kingdom is my most successful map in Starcraft 2. It has been used by Blizzard Entertainment as an official map in 1v1 ranked matches and in all major tournaments of that time. As of today, there have been 6512 matches in official tournaments and countless matches in ranked games. See stats here. This map is the winner for the first Teamliquid map contest in december 2011 and is awarded as the Map of the Year 2012 by Teamliquid. 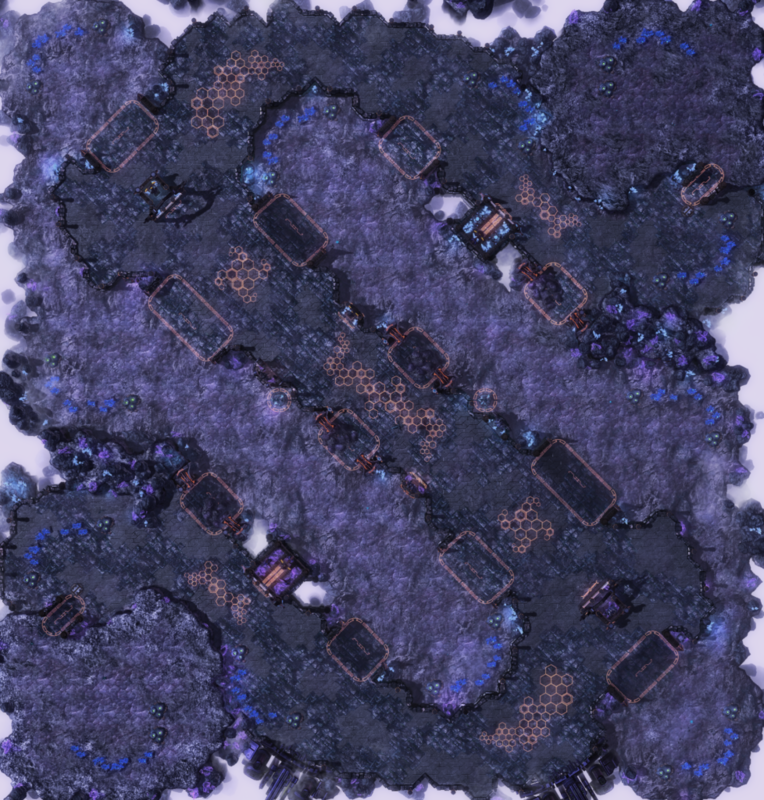 It is also the first map made by a non-korean to be used in an official Kespa Proleague match. The main feature of the map is the amount of small chokes that link the wide paths that go all around the map. These offer great defensive position but always have a flanking path that offer a better attack angle. Players are encouraged to use the sides of the map to get better attack angles and this makes games more dynamic and last longer. The impact of Cloud Kingdom is big in the Starcraft 2 community. Even today in 2018, people still occasionally mention Cloud Kingdom when discussing other maps and it’s still listed high in the player’s favourite maps. The map re-entered the ladder map pool in 2014 after a community vote that ranked Cloud Kingdom in the first position again. – Description of Cloud Kingdom by Blizzard Entertainment in the 2014 ladder map pool reveal.